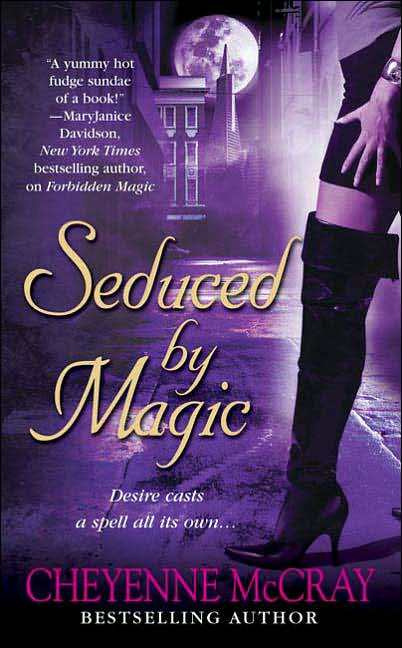 Seduced by Magic is the second novel in Cheyenne McCray’s magic series and was just as good as the first one. The plot moved at an acceptable pace, the erotica wasn’t over the top, and we were introduced to more members of the Fae. Overall, this was another good find, however, I do feel like it reads like most other romance novels. It has great characters who are totally in lust with each other, but you’re just not sucked into it. Don’t get me wrong, the plot never wavered and we learned more about the villains, but I wasn’t inspired to go out and buy it. Maybe that’s what I’m feeling. I can’t wait to get my hands on the next one, but I don’t feel like I have to buy it so I can get to it quicker. I stumbled onto one of the Cheyenne McCray books and wasn’t terribly impressed. Not bad, but the characters didn’t grab me. I like your idea of 50 new authors — if you’re all about the paranormals, may I suggest Marjorie Liu and Christine Warren?